Twitter or Beer? Which is the Best Social Medium? 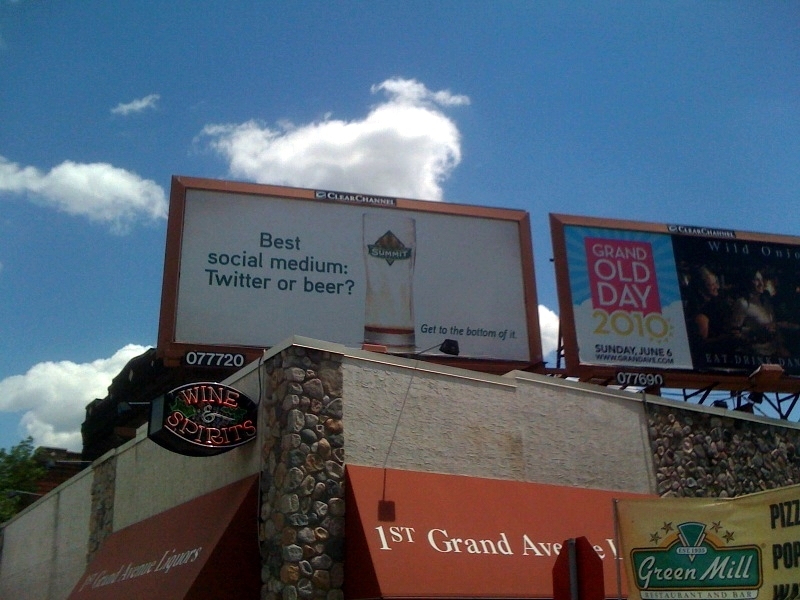 A billboard for Summit Brewing ponders which is the better social medium; Twitter of beer. The billboard is part of an ongoing campaign which sought creative submissions from people. Winners would receive a $50 gift certificate and have their creative featured on a billboard. This particular board was created by Fast Horse designer Hilary Heinz. So which is it? Real world socialization lubricated by alcohol? Or online socialization lubricated by the ability to portray yourself anyway you choose?